Days Inn Guam’s Deluxe Queen Rooms are done up in lavender & cream, accentuated with a dash of burgundy linen elements. All the rooms open out to a roomy, private balcony where you can watch Guam glide by. 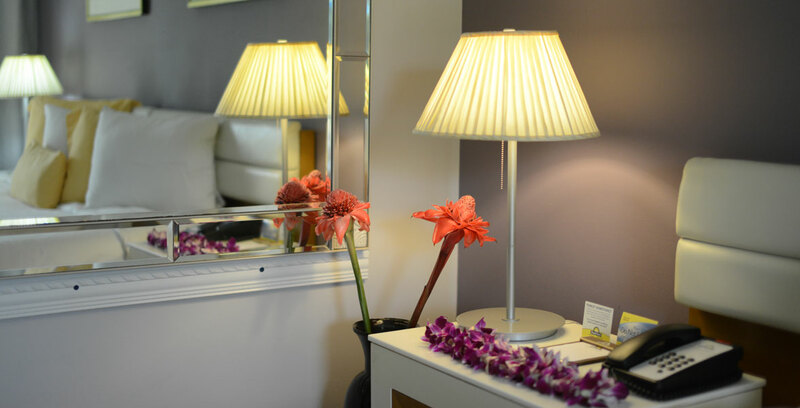 Our spacious and clean bathrooms come with hair dryers and free toiletries that are replenished regularly. 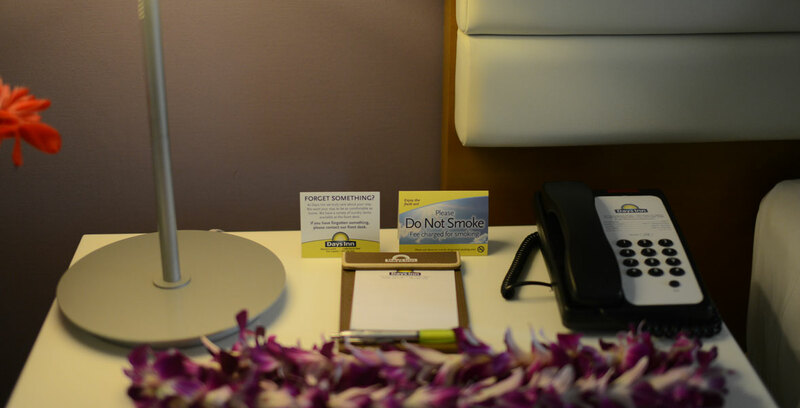 All our rooms are non-smoking, with air conditioning and Free Wifi standard in all rooms. Children Stay Free Policy – Children 11 and under stay free when sharing existing bedding. Up to two (2) children allowed to saty free under this policy. 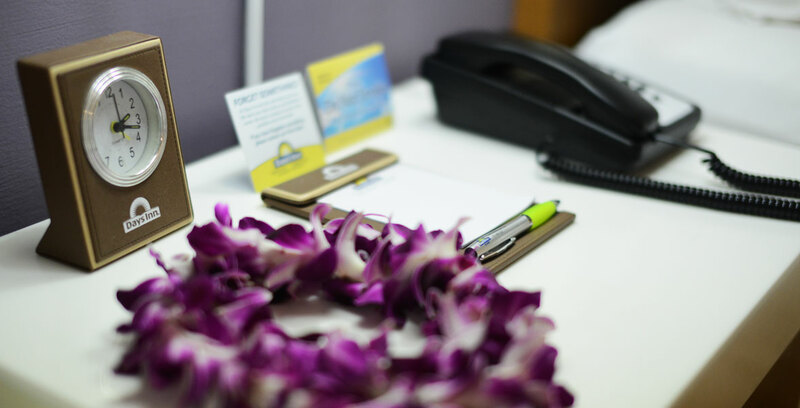 Beverages and snacks available at Front Desk ($), Car Rentals, Complimentary City Shuttle Services, 24-Hour Front Desk, Baggage Storage, Laundry and Fax/Photocopying. Airport shuttles are available for an additional $12 per adult / $6 per child (2-11 years of age) each way, subject to availability, and must be mentioned during booking and paid 48 hours in advance. Please mail us at info@daysinnguam.com to arrange for airport transfers. 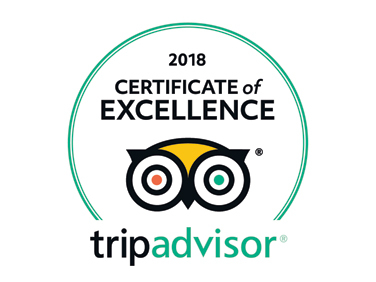 Newspapers, In-room Safe, Non-smoking Rooms, Facilities for Disabled Guests, Elevator, Brand New Air Conditioning and a Designated Smoking Area. Free Shuttles to Guam Premier Outlets, Ypao Beach, The Plaza Shopping Center. Free WiFi is available at the Business Center in the lobby & in all areas of the hotel. Free US Mainland, Canada and Hawaii phone calls at the Business Center. Pet Rooms available at the hotel on request. For more details check here. Disabled-friendly Rooms are available on request.